It’s Boston, not D.C.! 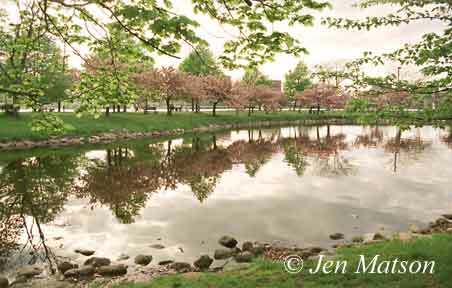 These are the cherry trees along the lagoon, next to the Hatch Shell. They are only pretty for about a week– maybe less, if it rains– so alot of people have never seen them. They are usually peak the very end of April/ very beginning of May.